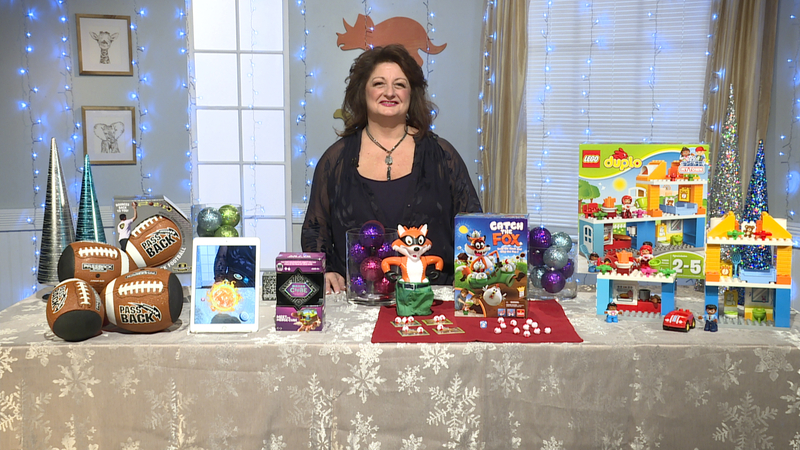 Reyne Rice is back at the Toy Fair in NYC with this year’s hottest trends! 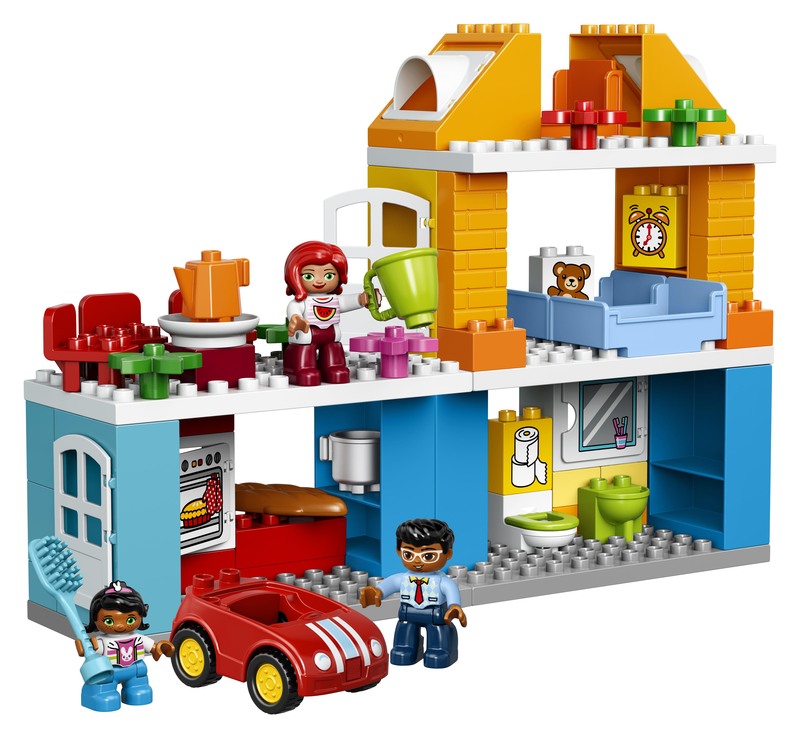 Lego adds fun to playing and taps into our imaginations! 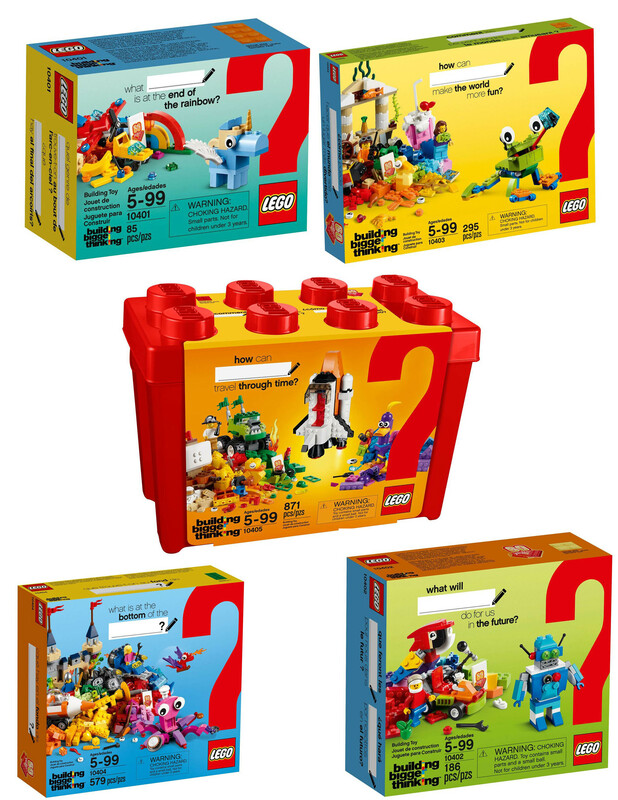 The LEGO brick is turning 60 this year and to celebrate, they have created five LEGO 60th Anniversary “What Will You Build?” sets, designed to inspire creativity and open-ended building. 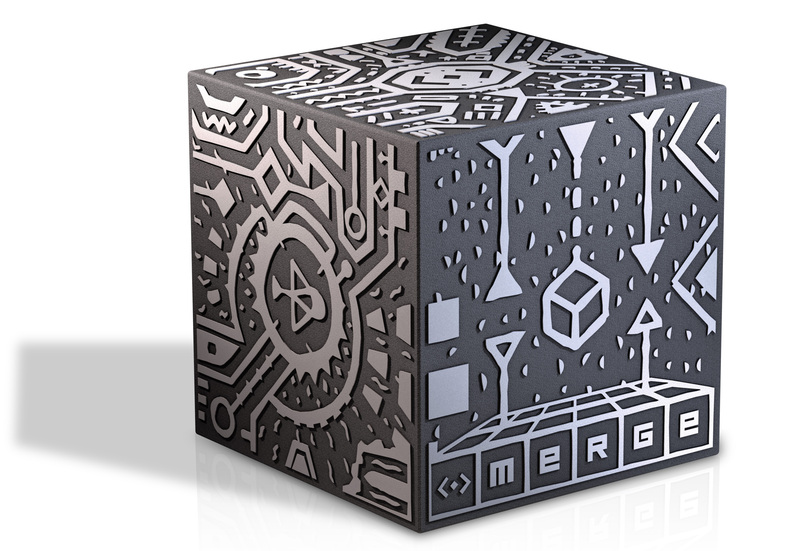 The boxes are colorful and filled with classic bricks, special elements and mini-figures. LEGO is a timeless, nostalgic toy that brings parents back to their childhood and connects them with their own kids. By focusing on Bigger Thinking, kids will build self-confidence with fun. No rules, just play, explore and discover. AND, in April, the Mini-figures celebrate their 40th anniversary~ Click here to learn more. Kids can explore their dreams, while learning swimming skills with Fin Fun’s Mermaid Tails that let kids swim like real mermaids. The quality of these tails are spectacular, and Fin Fun offers a 60-day Tail Tip Guarantee. The patented monofins are inserted into the tail and the quick-release design, lets you remove the tail with just a tug and a kick of the feet. 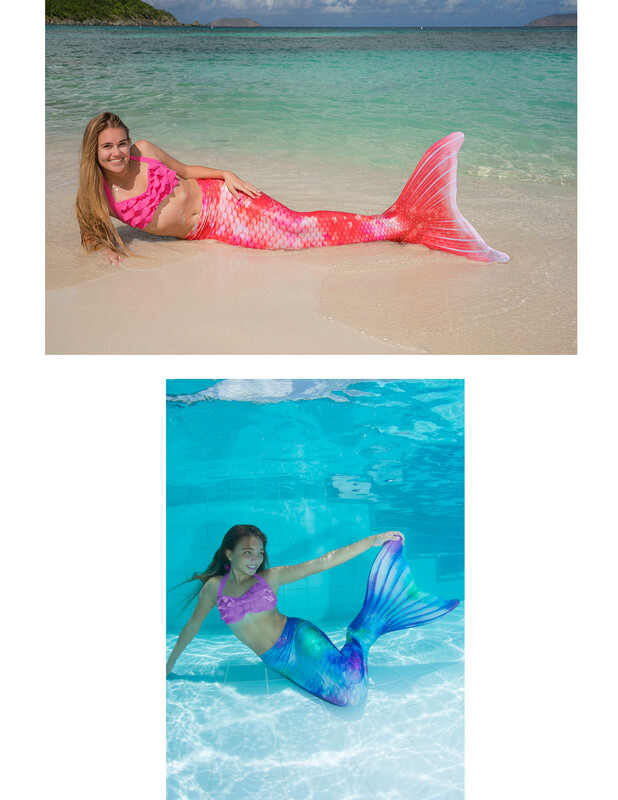 Mermaid tails are recommended for competent swimmers 6 years and older, and ONLY with adult supervision. Adults can wear them too! Coral Cloud is a NEW Limited Edition color and Mariana’s Tidal Wave is a consistent best seller. Click here to learn more. 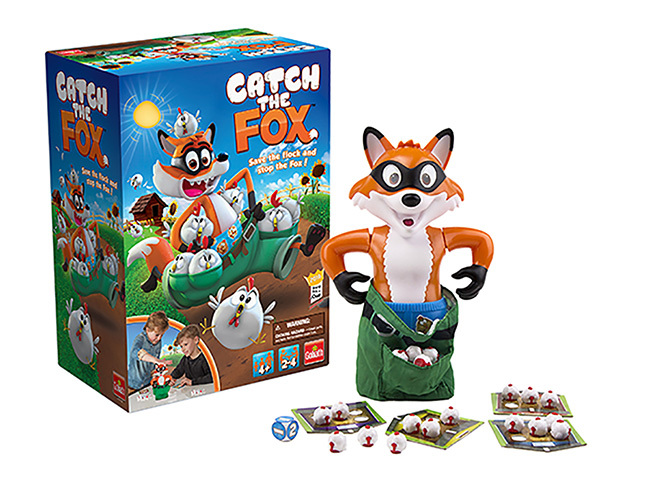 Are you looking for a fun game that challenges your kids? 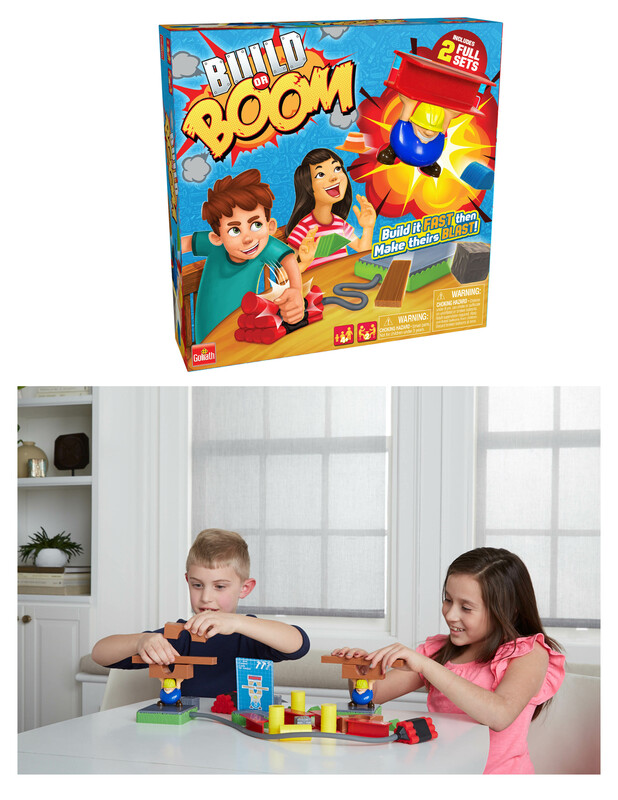 Build OR Boom by Goliath Games encourages kids, ages 4 and up, to hone their STEM skills. Each child sees who can be the first to bring the blueprint cards to life. Kids work on their own platform, quickly but carefully, to match the blueprint. Be the first one to finish, then SMASH the boomer and demolish the other players’ building to win the round. 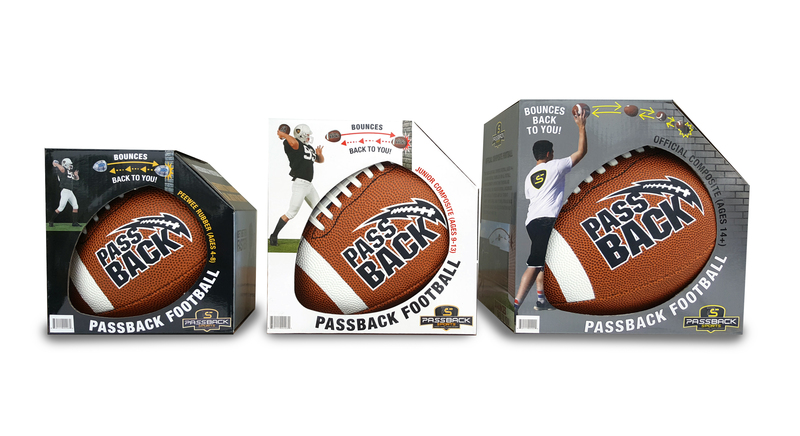 Driven by kids’ imagination and parents will love that no batteries are required. Click here to learn more. Smartgurlz is a line of Award winning, self-balancing robots and action dolls that teaches girls to code. 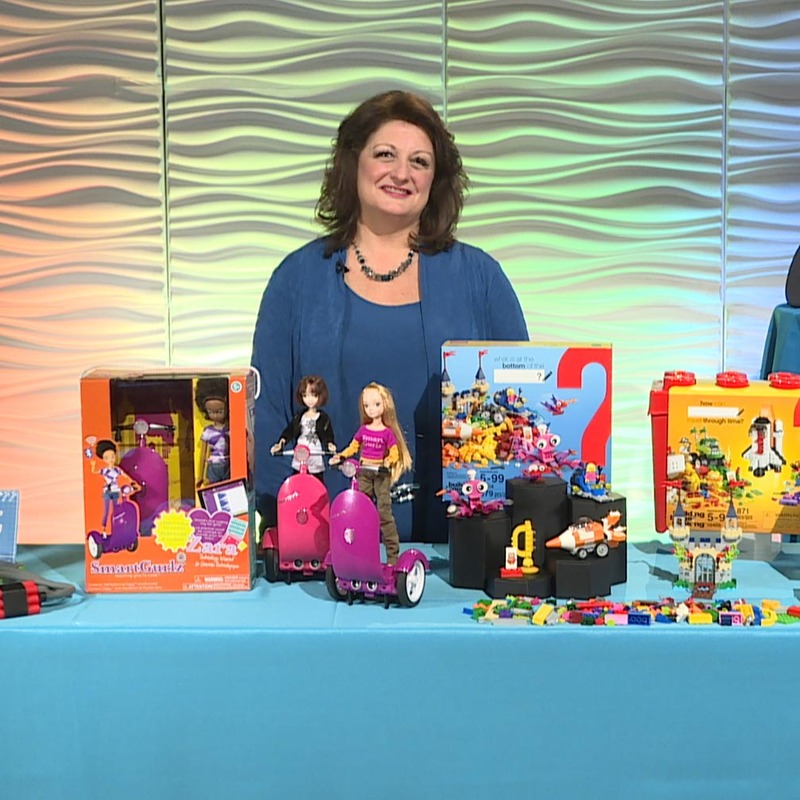 As Seen on Shark Tank, just connect your smartphone or tablet to the E-Learning app and give your daughter STEM confidence and provide loads of fun. Watch your robot roll across the room, perform dance moves or play learning games. The app includes missions, books and a step-by-step tutorial on how to code! Click here to learn more.